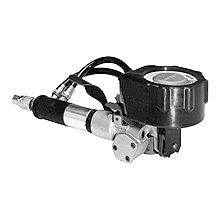 Product Description: Pneumatic seal-feed air powered combination tool available in 1/2" (up to .023), 5/8" (up to .023) or 3/4"(up to .025). 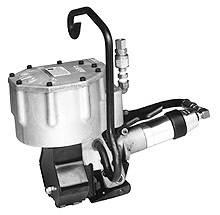 Product Description: Pneumatic, feedwheel tensioner. Utilizes applied air pressure rnning 1 and 1/4" up to .044. 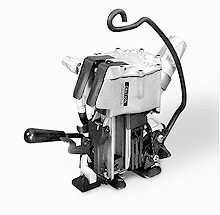 Product Description: Pneumatic, large diaphragm, double crimp sealer. Designed for use with Signode "117HDGOF" series seals and is available in 1 1/4" x .044-.057. 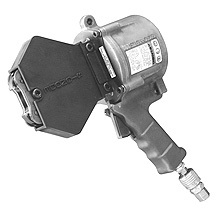 Product Description: Pneumatic push-type combination tool available in 3/4" (.025-.031) designed for heavy duty round or irregular packages. 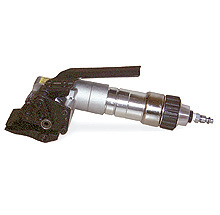 Product Description: Pneumatic push-type combo tool that comes in 3/4"(.025-.031) and 1 1/4" (.025-.035). 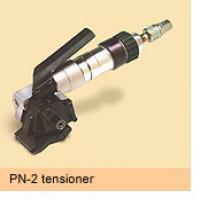 Product Description: Pneumatic, push-type feedwheel tensioner. 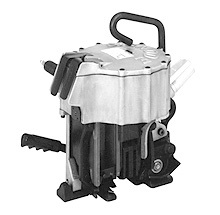 Runs 3-4"-1 1/4" up to .044 to provide uniform pressure on loads with minimal operator effort. Product Description: Ergonomic and lightweight pusher tool for 2" steel strap up to .044 ga. 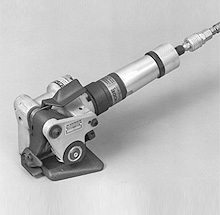 Product Description: Pneumatic push-type combination tool available in 1/2", 5/8" (runs .015-.023) and 3/4" (runs .015-.025). This is system is built for rock or irregular packages. Product Description: Durable, easy to use system that produces maximum strength double reverse notch seal joints. 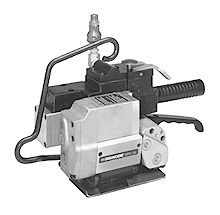 Product Description: Pistolgrip, single reverse notch sealer used for a variety of Signode seals and is available in both 3/4" and 1 1/4"
Product Description: Pneumatic sealless combination that tensions, seals, and cuts. Availalble in 1/2" & 5/8" (up to .023) and 3/4" (up to .025). 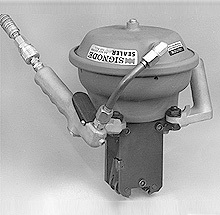 Product Description: Pneumatic sealess combination tool available in 3/4" x .025-.031 and 1 1/4" .025-.031. 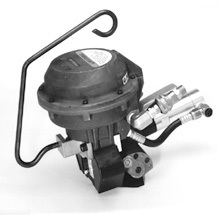 Product Description: Pneumatic, windlass feedwheel tensioner. Runs 2" up to .050.